This week I skipped badminton on Tuesday because I had a cold and wanted to save my strength for my class Wednesday. And I’m glad I did! Right out of the gate my teacher said I was hitting it much better. I credit the fact that I was totally rested. (I still had a cold but it was okay.) I wasn’t tired from playing the day before so practice wasn’t the tiring and I just had more strength in general. So much so, that my teacher could see I had a lot of energy after our lesson and asked a woman to play singles with me. He told her I was his student and a beginner and she agreed. Turns out she is also an English teacher (in a different department) and she had seen me walking to the classrooms before. 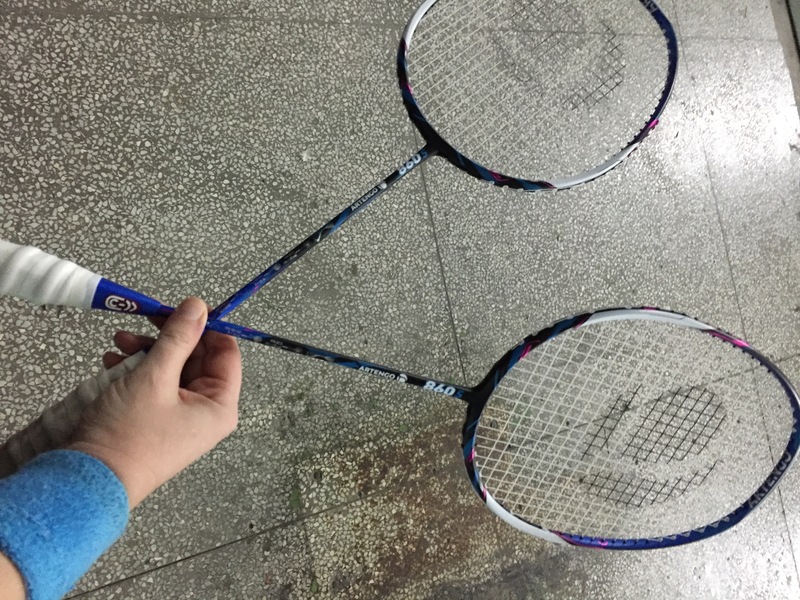 She has been playing badminton for six years and she also had a teacher, one of the PE teachers at my university. She’s had private lessons for a year and a half. I told her about starting playing in March and how I had a teacher for about 2 months now. She was very friendly and I got to speak English which was nice. We started playing and while she had some good shots, it was clear that I was much better than her. The score was quickly 4-1 and then she suggested that we just “play casually.” I said sure, and after a few minutes of me still killing her just in casual play, she said she was tired and sat down. I ran over to my teacher, who was playing his own singles game, but was taking a break, and told him. “Good,” he said putting up his fist for a little fist bump. “I like to win,” I said. “Me too,” he said and we basically drummed our fingers together cackling. This is basically what me and my teacher did for a few minutes. Thursday was okay. I was still sick and tired from the day before so it wasn’t the best day, but nothing terrible happened. I won the normal amount of games, more than half.